Bradley must surely be the only great basketball player who wintered regularly in Palm Beach until he was thirteen years old. The 1965 NCAA University Division Basketball Tournament involved 23 schools playing in single-elimination play to determine the national champion of men's NCAA Division I college basketball. It began on March 8, 1965, and ended with the championship game on March 20 in Portland, Oregon. A total of 27 games were played, including a third-place game in each region and a national third-place game. UCLA, coached by John Wooden, won the national title with a 91–80 victory in the final game over Michigan, coached by Dave Strack. Bill Bradley of Princeton was named the tournament's Most Outstanding Player. UCLA finished the season with 28 wins and two defeats. In the championship game, the Bruins shot 56.9% with Gail Goodrich's 42 points and Kenny Washington's 17 points to become the fifth team to win consecutive championships.Of note, this was the last NCAA Tournament for Henry Iba of Oklahoma State. The 1978 United States Senate election in New Jersey was held on November 7, 1978. Democratic nominee Bill Bradley defeated Republican nominee Jeff Bell with 55.32% of the vote. The 1983 State of the Union address was given by President Ronald Reagan to a joint session of the 98th United States Congress on Tuesday, January 25, 1983. The speech was the second State of the Union address of President Reagan's first term. The speech lasted approximately 46 minutes and contained 5554 words. The address was broadcast live on radio and television. The Democratic Party response was delivered by Senator Robert Byrd (WV), Senator Paul Tsongas (MA), Senator Bill Bradley (NJ), Senator Joe Biden (DE), Rep. Tom Daschle (SD), Rep. Barbara Kennelly (CT), House Speaker Thomas P. O'Neill III (MA), Rep. George Miller (CA), Rep. Les AuCoin (OR), Rep. Paul Simon (IL), Rep. Timothy Wirth (CO), and Rep. Bill Hefner (NC). The 1984 United States Senate election in New Jersey was held on November 6, 1984. Incumbent Democrat Bill Bradley defeated Republican nominee Mary V. Mochary with 64.16% of the vote. The 1990 New Jersey United States Senate election was held on November 6, 1990 to select the Class 2 U.S. Senator from the state of New Jersey. Democratic U.S. Senator Bill Bradley decided to seek re-election and narrowly edged out little-known Republican Christine Todd Whitman. The 1996 United States Senate election in New Jersey was held on November 5, 1996. Incumbent Democratic U.S. Senator Bill Bradley decided to retire instead of seeking a fourth term. The seat was won by Democratic congressman Robert Torricelli. The California Democratic primary, 2000 was held on March 7, 2000, the same day as the Republican primary. Vice President Al Gore carried the primary in a landslide over former Senator Bill Bradley of New Jersey. The 2000 Democratic National Convention was held in the state, from August 14-17. The 2000 Democratic presidential primaries were the selection process by which voters of the Democratic Party chose its nominee for President of the United States in the 2000 U.S. presidential election. Incumbent Vice President Al Gore was selected as the nominee through a series of primary elections and caucuses culminating in the 2000 Democratic National Convention held from August 14 to 17, 2000, in Los Angeles, California, but he went on to lose the Electoral College in the general election against Governor George W. Bush held on November 7 of that year, despite winning the popular vote by 0.5%. In the United States, the 2000 Iowa Democratic caucuses (held January 24) were the first major test of the leading contenders for the Democratic Party's nomination as its candidate for the 2000 presidential election. In the United States, the 2000 New Hampshire Democratic Primary (held February 1) was the second major test of the leading contenders for the Democratic Party's nomination as its candidate for the 2000 presidential election. William Calvin "Bill" Bradley (born January 24, 1947) is a former American football coach and former two-time All-Pro defensive back in the National Football League (NFL). He played with the Philadelphia Eagles for most of his career. As an assistant coach he won two Grey Cups in the Canadian Football League (CFL). He currently serves as the defensive backs coach of the San Antonio Commanders of the Alliance of American Football. William Joseph Bradley (February 13, 1878 – March 11, 1954) was a third baseman and manager in Major League Baseball. He recognized as one of the best third basemen in baseball prior to 1950, along with Jimmy Collins and Pie Traynor. He led American League third basemen in fielding four times, setting a league record of seven putouts in one game in both 1901 and 1909. Bill Bradley was the first Cleveland baseball player to hit for the cycle on September 24, 1903. In 1902 he hit home runs in four straight games and finished the year with a .340 batting average. Bradley made his professional debut on August 26, 1899 with the Chicago Orphans. After playing for two seasons in Chicago, Bradley moved to Cleveland to play for the newly formed American League. He spent the next decade with the Cleveland franchise, his best season coming in 1902 when he had a batting average of .340, 12 triples, and 11 home runs. After the 1910 season, Bradley spent three seasons with the Toronto Maple Leafs of the International League before returning to the Federal League in 1914, playing for the Brooklyn Tip-Tops that year and the Kansas City Packers the following year. After finishing his playing and managing career in the Federal League, Bill Bradley was a scout for the Cleveland Indians. He was elected to the Indians' Hall of Fame shortly after his death in 1954. Bradley died in Cleveland at the age of 76 due to pneumonia. He was laid to rest at Calvary Cemetery in Cleveland, Ohio. Bill Bradley (30 March 1933 – 30 June 1997) was a twice English National Road Race Champion, represented Great Britain in the 1960 Olympic Games in Rome, won twice the Tour of Britain Road Race Milk Race and until recently held the record for climbing the Grossglockner in the Tour of Austria. He remains the only rider to have won the Tour of Britain in two consecutive years. He rode for the Southport RCC throughout his career. He died on 30 June 1997 and was survived by wife Joan Bradley. The 2000 presidential campaign of Bill Bradley, former Senator of New Jersey began when he formed an exploratory committee on December 1998, with a formal announcement in January 1999. He ran in the 2000 presidential primaries, opposing incumbent Vice President Al Gore for his party's nomination. Bradley campaigned as the Progressive alternative to Gore, taking positions to the left of Gore on a number of issues, including universal health care, gun control, and campaign finance reform. The Princeton Tigers men's basketball team is the intercollegiate men's basketball program representing Princeton University. The school competes in the Ivy League in Division I of the National Collegiate Athletic Association (NCAA). The Tigers play home basketball games at the Jadwin Gymnasium in Princeton, New Jersey on the university campus. Princeton has won six Eastern Intercollegiate Basketball League championships, twenty-seven Ivy League championships, and the 1975 National Invitation Tournament. The team is currently coached by Mitch Henderson. The team is known for the Princeton offense perfected under the tenure of former head coach Pete Carril who coached the team from 1967 to 1996. The Princeton offense has resulted in Princeton leading the nation in scoring defense 20 times since 1976 including every year from 1989 to 2000. The Tigers entered the 2009–10 NCAA Division I men's basketball season with 1,552 career victories (which ranked 23rd among the 347 NCAA Division I programs), 24 NCAA Men's Division I Basketball Tournament appearances (including four consecutive appearances between 1989 and 1992), and 5 National Invitation Tournament appearances.Eight different Tigers have earned twelve All-American recognitions. 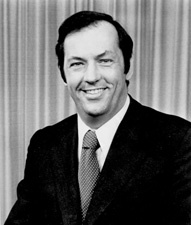 Bill Bradley is the only three-time honoree. Numerous Tigers have played professional basketball. The most recent Tiger NBAer was Steve Goodrich. Petrie was the NBA Rookie of the Year in 1971, while Taylor earned the same honor in the American Basketball Association in 1973. Two of the three Ivy Leaguers to have played in the Olympic games were Tigers. Four of the eight NBA and ABA championships earned by Ivy League players have been earned by Tigers. Three of the five highest NBA career point totals by Ivy League players were by Tigers. Five of the ten Ivy League players selected among the top 25 overall selections in the NBA draft were Tigers. Their main Ivy League rivalry is with Penn.